When her friend goes missing, every minute counts. Darcy St. James returns to Alaska to join a journalist friend undercover on the trail of a big story. But when Darcy arrives, she finds her friend has disappeared. Troubled by the cruise ship’s vague explanation, Darcy uses her cover as a travel reporter to investigate further. The last person Gage McKenna expects to see during his summer aboard a cruise ship leading adventure excursions is Darcy. And in typical Darcy fashion, she’s digging up more trouble. He’d love to just forget her–but something won’t let him. And he can’t help but worry about her as they are heading into more remote regions of Alaska and eventually into foreign waters. Something sinister is going on, and the deeper they push, the more Gage fears they’ve only discovered the tip of the iceberg. Darcy St. James returns to Alaska to help out her ex reporter partner, Abby, with a story on a cruise ship. She had sworn off investigative reporting, but decides to help when she recognizes the fear in Abby’s voice. But when she arrives, Abby’s disappeared. Determined to find her friend, Darcy starts investigating. What she doesn’t know is that Gage McKenna is also working on the cruise. And that something far more sinister than anyone has imagined is going on. Will Darcy find her friend? Will Gage be able to protect her from danger? The Alaskan Courage series has been a winner in my book– and the third book doesn’t disappoint. The book begins about 5 months after Shattered leaves us, with shifting perspectives from Darcy, Gage, Kayden, Jake, and the mastermind behind everything. Stranded is suspenseful, cute, and one exciting read. The couples in this series are perfect. Bailey and Cole…Landon and Piper…Darcy and Gage…and soon Kayden and Jake. I love how in each book of this series we get a peek into the next story. Like in Stranded, we get introduced to Kayden and Jake’s perspectives. The changing perspectives really enriched the story! The characters were cute, funny, and really interesting. 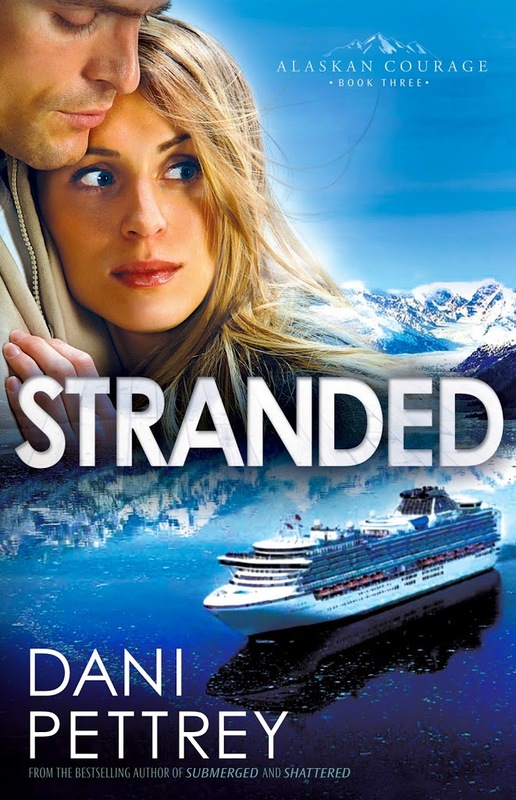 While book one and two in the series managed to surprise me with the plot turns, Stranded was not so unpredictable. I figured out what was going on in chapter 2. Nonetheless, the story was still thrilling and left me turning page after page. I really enjoyed the third installment in the Alaskan Courage series! It was entertaining, suspenseful, thrilling, cute, and made me giddy with amusement. I am very excited to continue reading about the McKenna family in book four, Silenced.